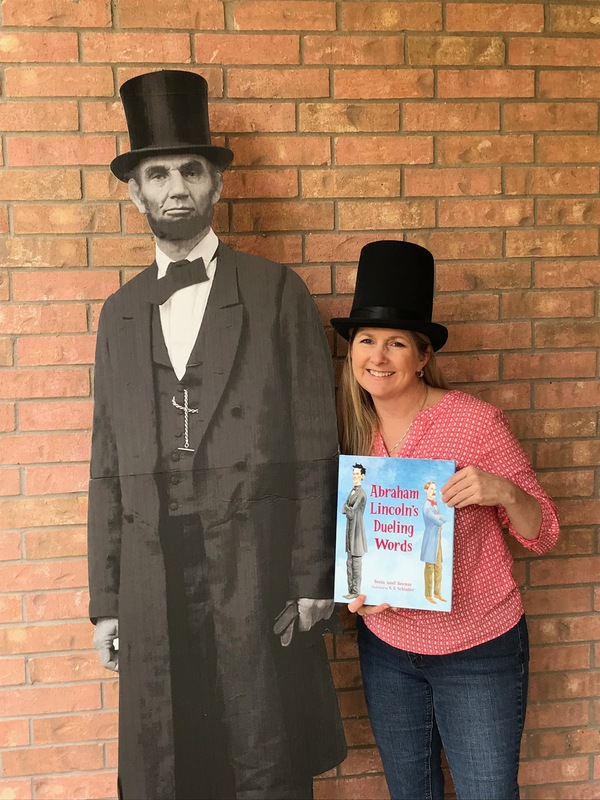 Life-sized Abe Lincoln is ready for photo-opps at my April 15th launch party. Much has happened within the last month. The book launch trailer for Abraham Lincoln’s Dueling Words released, which makes me all kinds of giddy. Then, on April 1, the book itself hit bookstore shelves. I hope you will get your own copy from your favorite independent bookstore and share it with the young people in your life. I think you will agree that it has powerful tie-ins with character education. 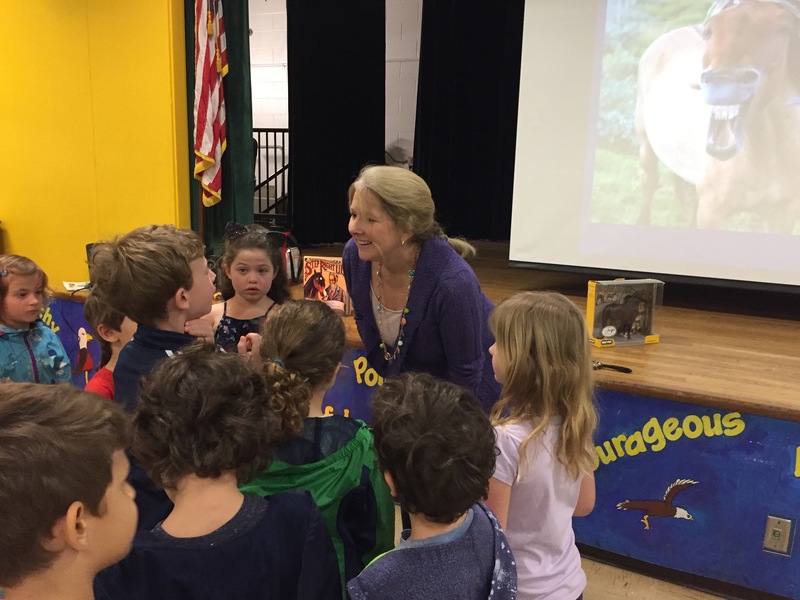 And I employed a fun, direct-address narrator that makes it great for read-alouds, too. Be sure to read the expanded content, linked to the book page here. 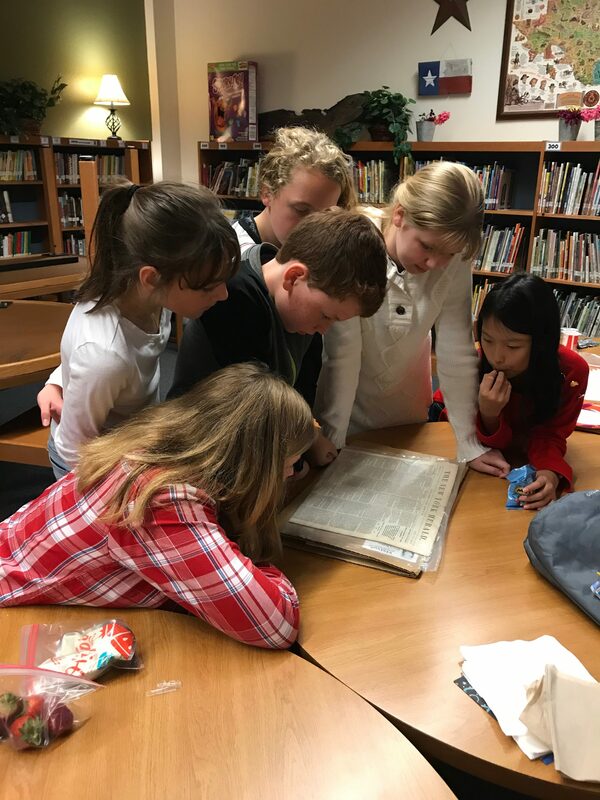 While you’re on that page, if you’re a librarian or teacher, consider sharing the full bibliography and my working timeline with your students. Everyone will be surprised to learn how much peripheral research was required. 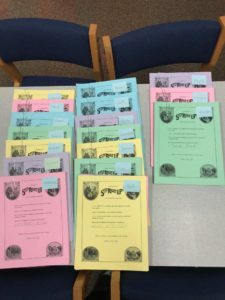 And don’t miss the teacher’s guide here. Though the book released April 1, the official launch party for Abraham Lincoln’s Dueling Words will be Sunday, April 15, 2018, at 2:00 pm at Book People in Austin. 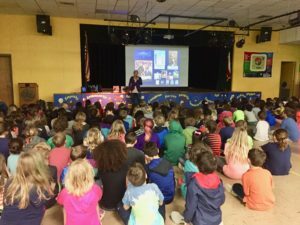 If you’re in the area, please come by for a reading, snacks, trivia, and a photo opp. You can view/print the Lincoln launch flyer for full information. 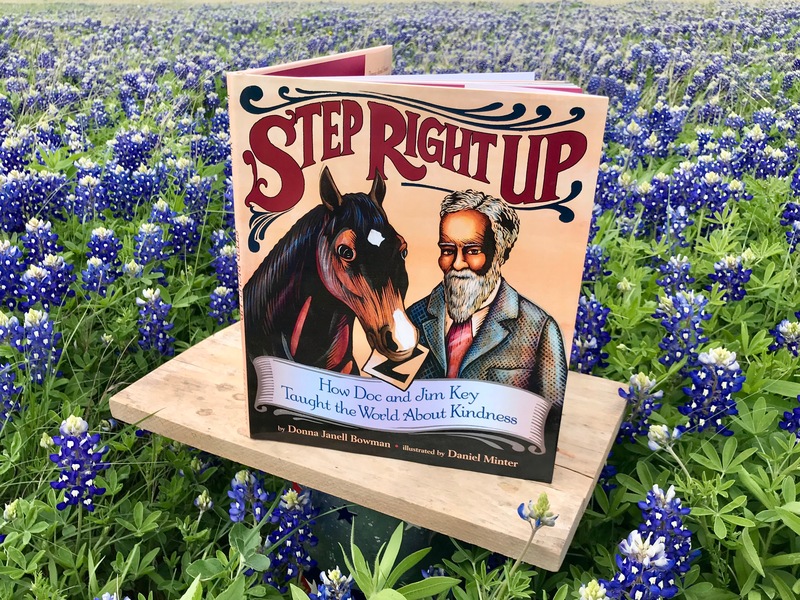 Step Right Up: How Doc and Jim Key Taught the World About Kindness, illustrated by Daniel Minter, continues to be embraced by schools and families around the country. 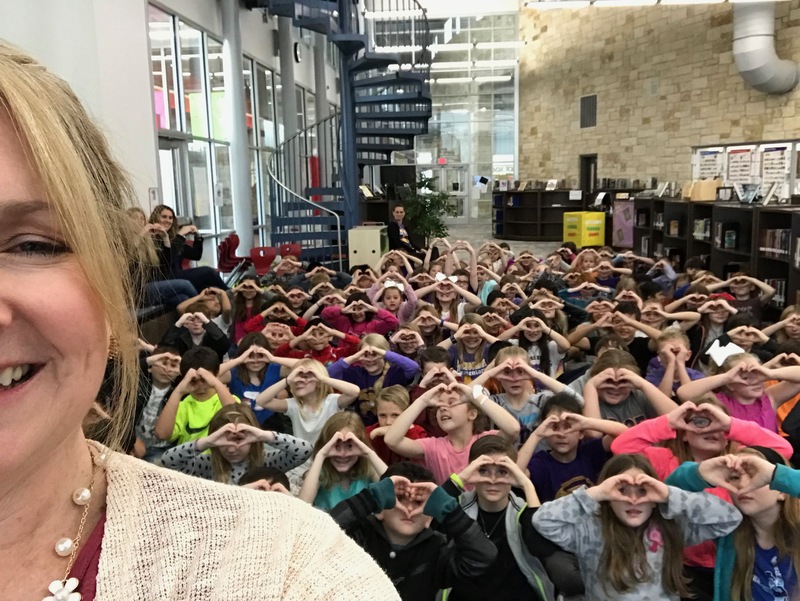 Entire schools are taking the Step Right Up Kindness Pledge. How humbling and lovely! 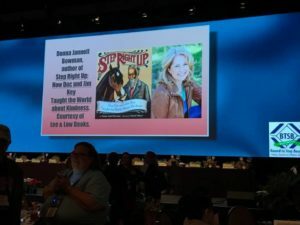 As many of you know, because of my personal connection to horses and my love of all animals, this story is infused with an extra piece of my heart. Now, SRU is on at least four state award lists, including Kansas, Louisiana, Tennessee, and the Texas Bluebonnet master list for 2018-19. As a native Texan, I admit to being especially honored by the Bluebonnet nod. 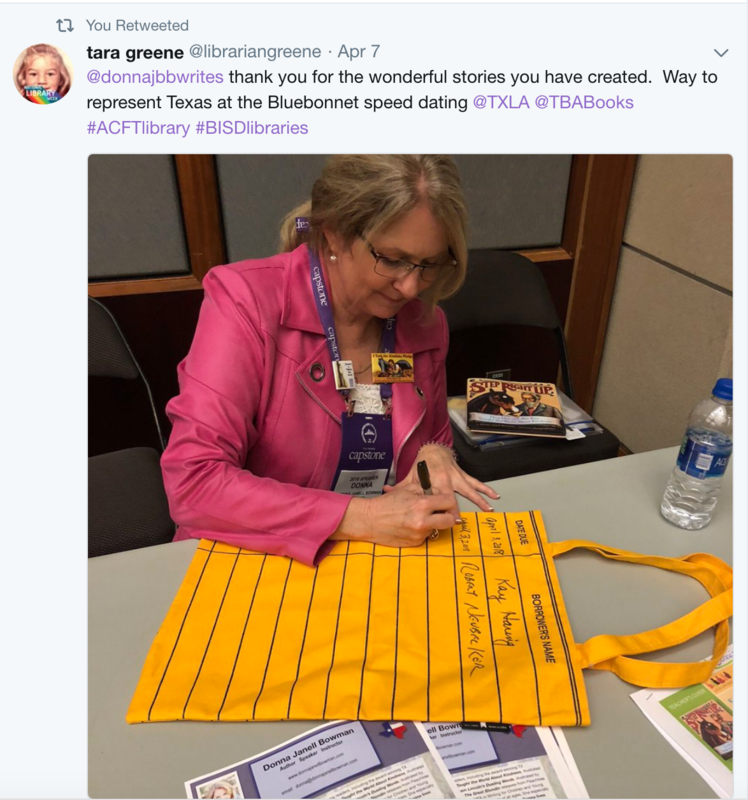 At the 2018 TX Library Association (TLA) conference in Dallas this past weekend, I had a blast meeting librarians from around the state during the Bluebonnet speed dating event and signing. 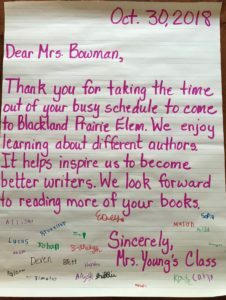 What these remarkable literary champions may not realize is that we authors think of them as the rock stars. 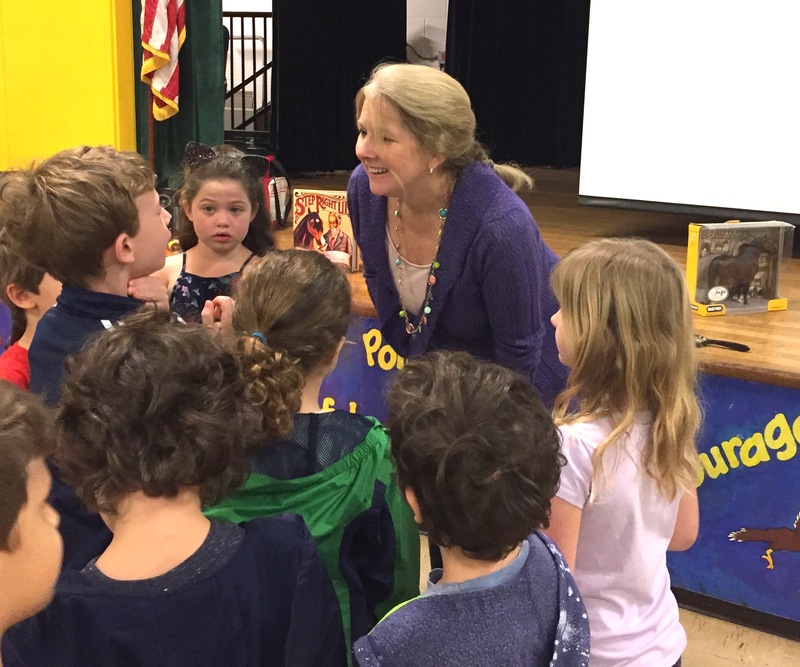 After all, every educator spends their career to changing young lives every day. Wow! 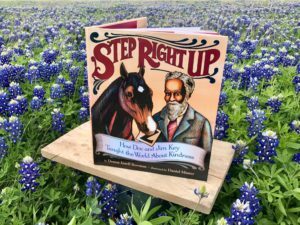 Honored to see Step Right Up acknowledged for the 2018-19 Bluebonnet master list. 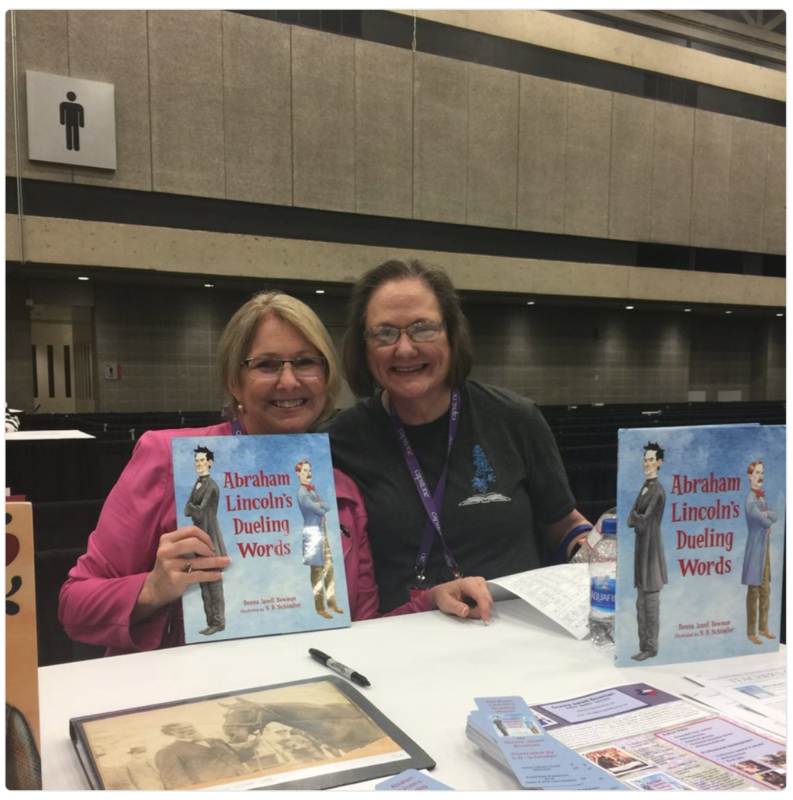 Other highlights from TLA’18 included catching up with other authors, meeting TLA committee and staff members, collecting more books, signing both of my books in the author area, attending the Bluebonnet luncheon, and being stopped by KidLitTV for an interview. You can see that here. I’ve had a lot of school visits in Texas this year, and I look forward to traveling to Louisiana for school visits in May. 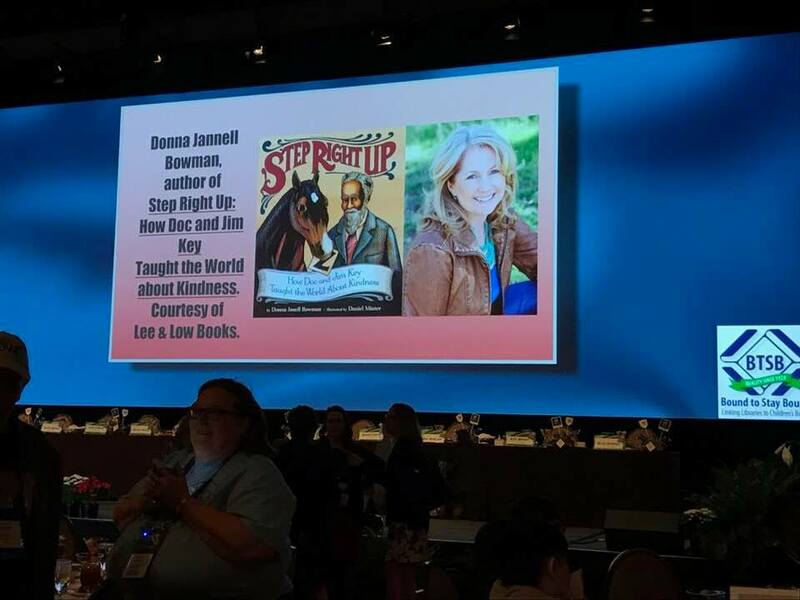 During my presentations, I offer my personal connection to my books, my writing and research process (aimed to reinforce classroom goals), expanded content, and a conversation about how one person can make a difference with kindness and how words are a super power. 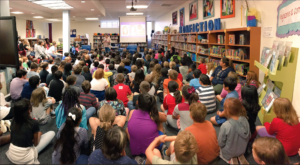 During the 2018-19 Bluebonnet season, I hope to visit as many schools as possible. 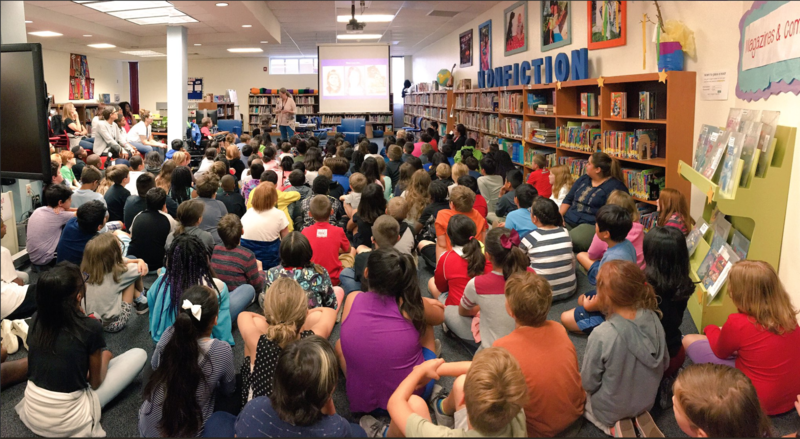 You can view/print my 2018 School visit flyer here. Email me for more information. If you’re a librarian or teacher who dreams of being published, stay tuned. 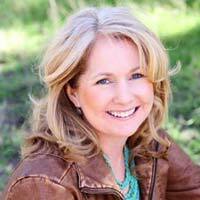 I might be offering an online class or webinar just for you! 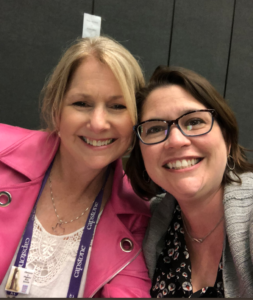 If you’re interested in having me critique your manuscript, of if you’re interested in hiring a writing coach, donna@donnajanellbowman.comemail me. 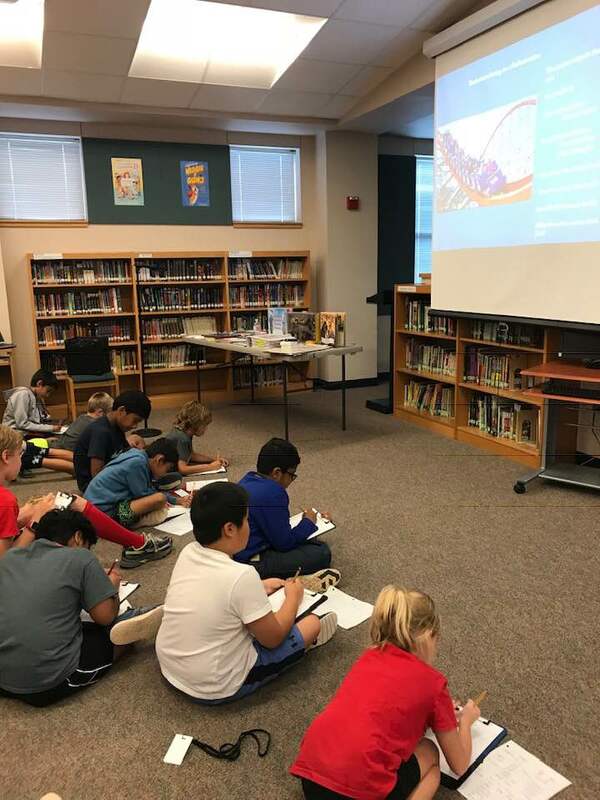 June 9, 2018—I will be teaching a one-day workshop on writing picture book biographies for the San Antonio chapter of SCBWI. Registration is open. 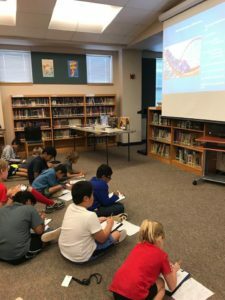 June-July—I’ll be teaching an online class about picture book biographies. Stay tuned for details. Email if you would like more information. 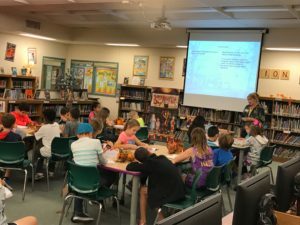 Fall 2018 (event not yet announced)—I’ll be speaking at an SCBWI conference about writing query letters, synopsis, and cover letters. Stay tuned. Subscribe to my e-newsletter to stay up to date with what I’m offering. That’s quite enough for this month, don’t you think? 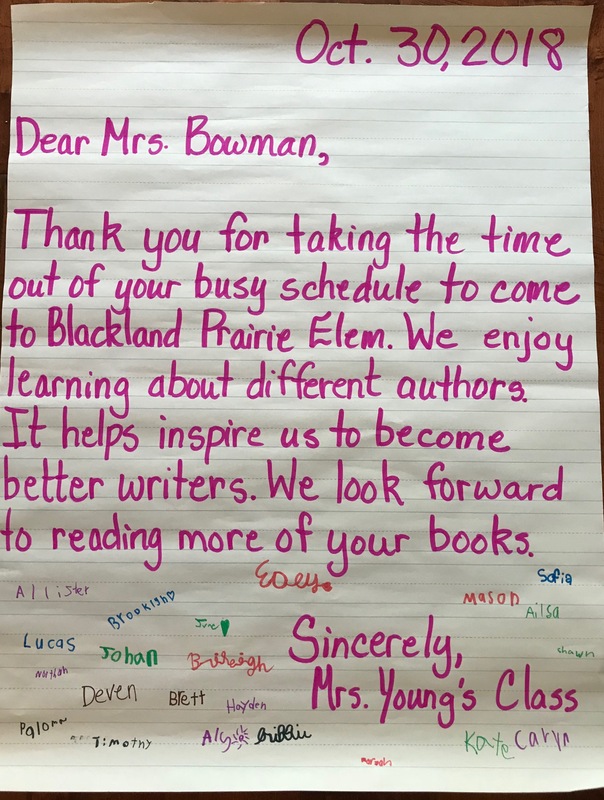 Thank you for taking the time to read.